From the 2nd to the 7th July, René Richter joined other researchers at the 25th Annual Computational Neuroscience Meeting (CNS2016) on Jeju Island in South Korea. This conference by the Organisation for Computational Neurosciences (OCNS) hosted 200 participants and provided a platform to present their research and additionally profit from tutorials and workshops in this particular field of research. 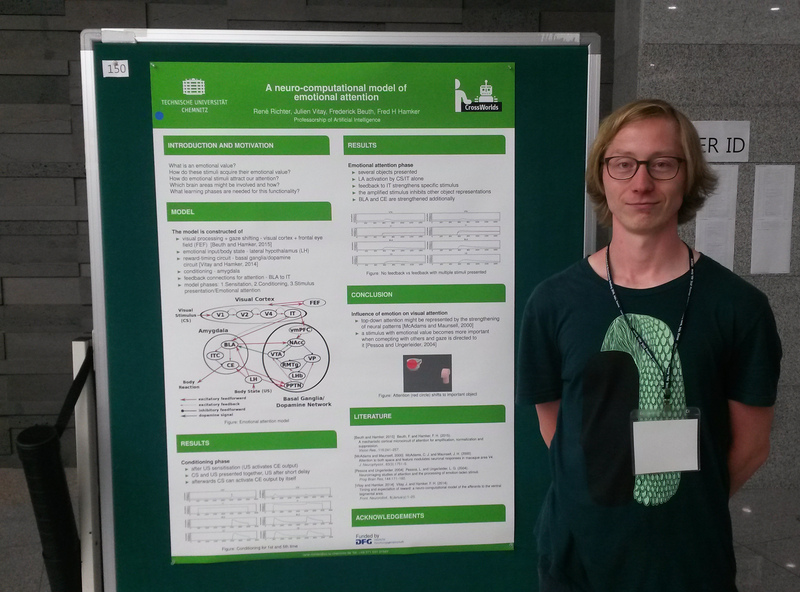 The poster session stretched over three days and on the third day René Richter presented his poster on how to simulate emotional attention within the biological background of the human brain. He had several interesting talks with other researchers who gave new perspectives and even offered potential collaborations for the future. This entry was posted on July 11, 2016 at 2:56 pm and is filed under Conferences. You can follow any responses to this entry through the RSS 2.0 feed. Both comments and pings are currently closed.